Choose the Anushka Slub Denim Tencel ® Top this season and feel wonderfully comfortable whilst looking effortlessly stylish. The Anushka is made from 100% Tencel ®, a fabric made from the natural cellulose found in wood pulp - making this particular fabric highly economical in it's use of energy and natural resources. 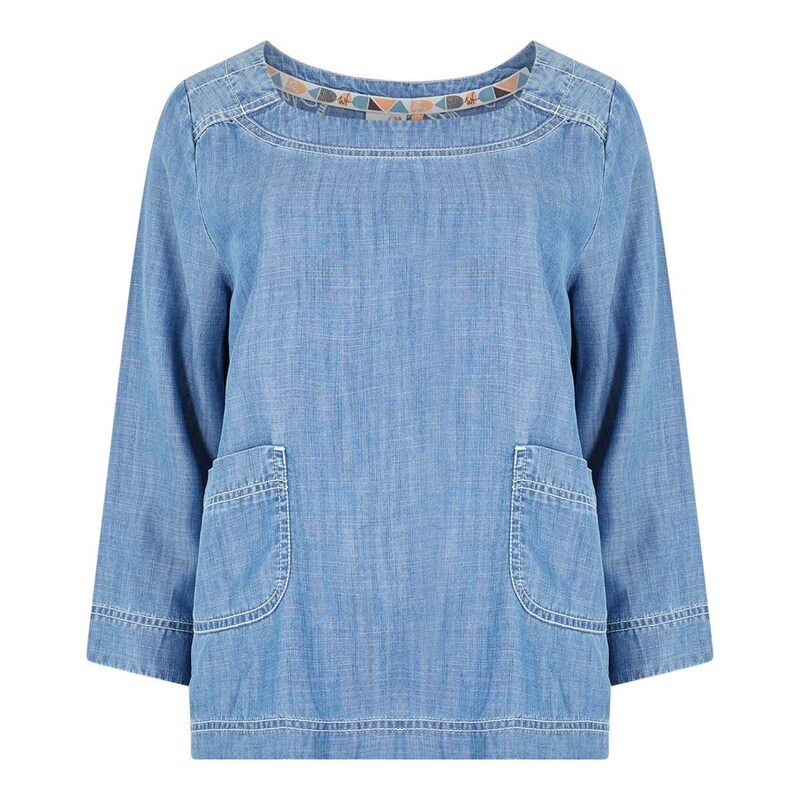 This slub denim top is soft-to-the-touch combined with a classic pre-worn look, making it perfect for days relaxing at your favourite coastal resort, or dressing up for a meal with family and friends. ...This season we have created a small range of tops and tunics that are made from 100% Tencel ® - a fabric produced by environmentally friendly processes. Tencel ® is a manufactured fibre composed of regenerated cellulose from wood pulp, and compared with traditional fibres the chemicals used in creating it are non-toxic, and as a result this clever fabric was awarded the European Award for the Environment. The end result is great quality, eco friendly fashion. You can find more here. Such comfortable fabric. This is a lovely relaxed top with useful pockets. I like the sleeve length too for work as it saves me having to roll them up. A great casual top for cooler summer days in lovely soft material. True to size. Good looking top in lovely fabric true to size. Haven't worn it yet it has been too hot, but tried it on good fit and good quality.